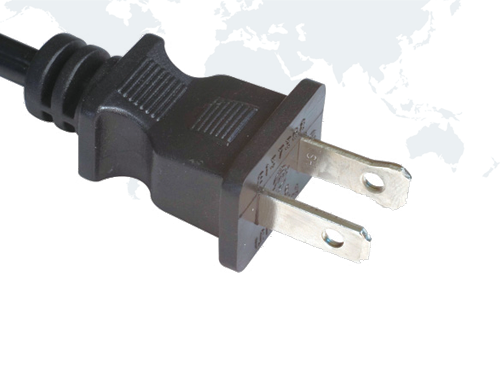 NEMA 1-15P polarized USA two prong power cord plug with cUL approval. 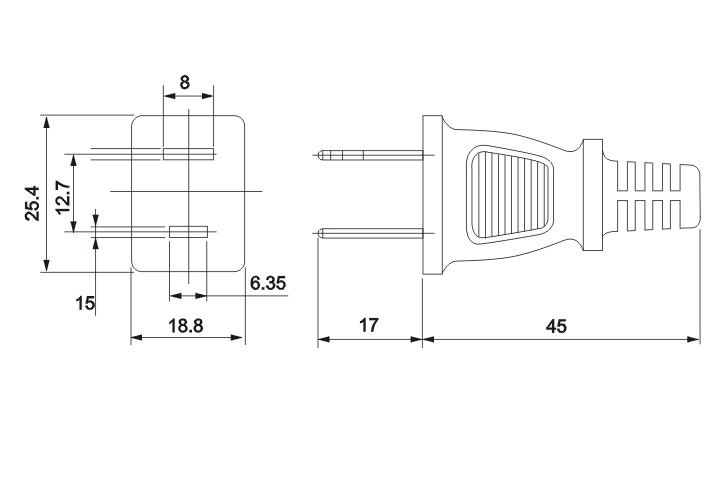 Built to NEMA 1-15P standards. Rated up to 15A 125V, 13A 125V or 10A 125V. Our NEMA 1-15P polarized plugs are fully molded with a low profile ergonomic design and come in a big variety or orientations, sizes and angles.